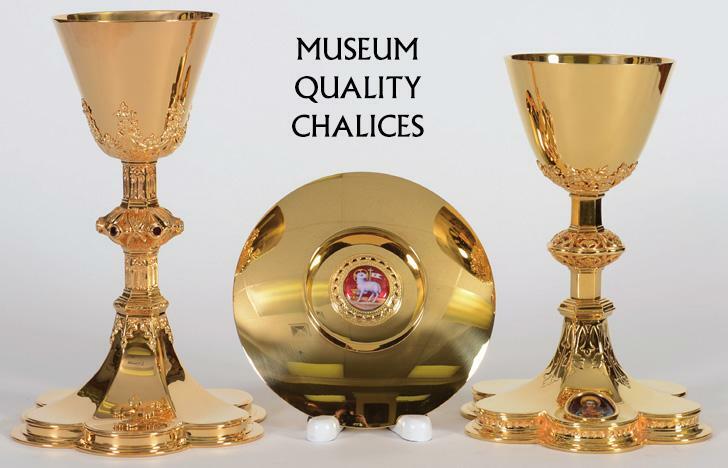 Museum Quality Gold & Silver Chalices, Over 135 years in the Church Goods and Church Supply Business. Antique Church Stained Glass windows available. We buy and sell antique church stained glass windows. We buy and sell Tiffany Studios Stained Glass windows. We invite you to visit our showrooms to see our exclusive exhibit of religious sacred vessels. 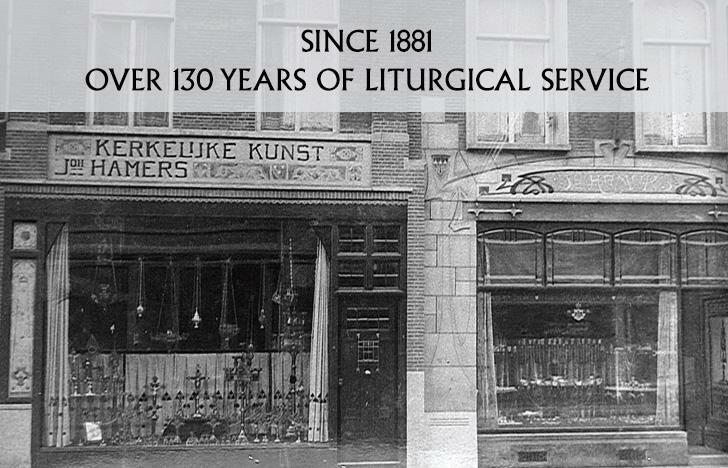 We are a leading Church supply company serving the clergy for over 125 years. Our Solid Sterling Silver Chalice models include: Authentic Byzantine Chalice, Carolingian, Romanesque Chalice, Traditional Gothic Chalice, Baroque Chalice and Edwardian Style Chalices. These, along with our Contemporary Chalice models, make up a unique display of thousands of Sacred Vessels. 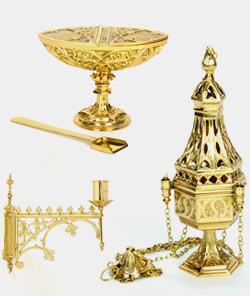 In our work we can incorporate a wide range of finishes such as gold-plate Chalices, silver-plate Chalices, copper, bronze, oxidized or antique Chalices. We do filigree, hand embossing, hand hammering and specialize in enamel work and hand chasing on all religious vessels. We also work with precious and semiprecious stones. We also Sell Authentic Antique Sterling Silver Chalices with thousands on display. We have Tiffany studios stained glass windows on display for sale. 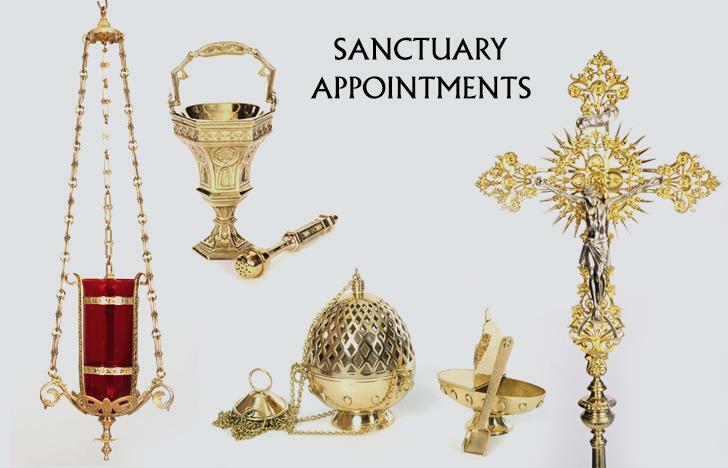 Please come to see and handle our new chalices, antique chalices, antique ciborium and newly commissioned ciboria. They are for you to examine and admire. You will find magnificent museum reproduction sacred vessels as well as the most modern offerings. We shall be happy to serve you in any way possible. 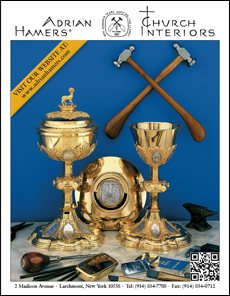 The enclosed furnishings you will find in this catalog show part of our Chalice Collections which will give you an idea of the quality and character of our workmanship. In selecting a chalice which is well designed and constructed, you will contribute to both Liturgical Art and the Art of the Silversmith. Our chalices, ciboria and monstrances of today will be Museum pieces of tomorrow. We buy and sell Antique church stained glass windows. We buy Tiffany Stained Glass Windows. We have Tiffany stained glass windows for sale. We buy Rudy Bros. Stained Glass Windows. We buy Lamb Studios Stained Glass Windows. 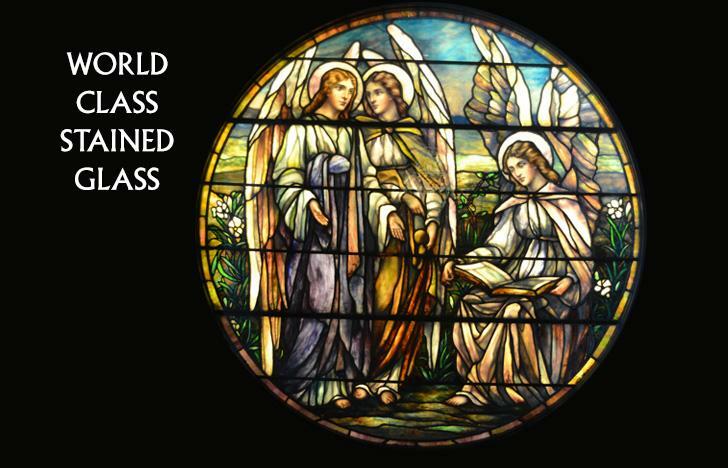 We buy John LaFarge Studios Stained Glass Windows. We buy all Early American Stained Glass Windows. We buy all religious Church Stained Glass Windows. 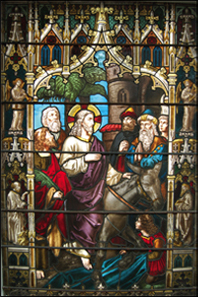 We buy Tiffany studios Stained Glass windows, We sell Tiffany studios stained glass windows. We appraise Tiffany Studios stained glass windows. We are a world famous church supply company. With hundreds of products all under one roof our showroom will offer you to view, handle and purchase Antique Church Goods and Church Supplies. 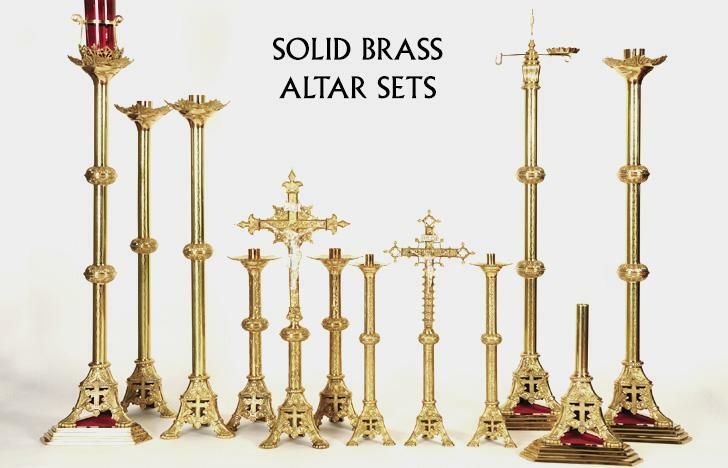 We sell Altar Cross, Altar Candlestick, Altars, Altar Rails, Baptismal Font, Holy Water Font, Sanctus Bell, Sacristy Bells, Church Bells, Church Gongs, Bishop Regalia such as Bishop Rings, Bishop Bugia, Bishop Pectoral Cross, Religious vessel Custom Carry Cases, Church Candelabra, Church Candlesticks, Censers, Incense Boats and Incense Spoon, Thurible, Communion Sets, Stacking Ciboria, Crucifix, Cruet Sets, Flagons, Holy Water Bucket, Holy Water Sprinkler, Aspergil, Aspergillium, Latin Mass Cards, Missal Stand, Bible Stand, Tabor, Monstrance, Umbrellino, Patens, Scale Paten, Dish Paten, Bowl Paten, Holy Bread Plates, Paschal Candle Stick, Processional Cross and Base Stands, Pyx, Holy Oil Stocks, Reliquary, Relic Shrine, Relic House, Hanging Sanctuary Lamp, Standing Sanctuary Lamp, Sanctuary Lamp Brackets, Antique Church Stained Glass buyer and seller,Tiffany Studios Stained glass for sale, Stations of the Cross, Religious Statues, Church Statuary, Tabernacle, Ambry and more. We are your Complete Religious Supply Store. 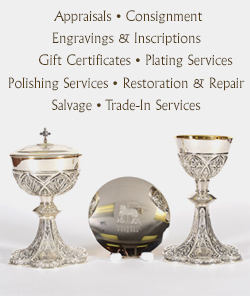 We offer complete religious vessel refinishing and reguilding and re-gold-plating services. 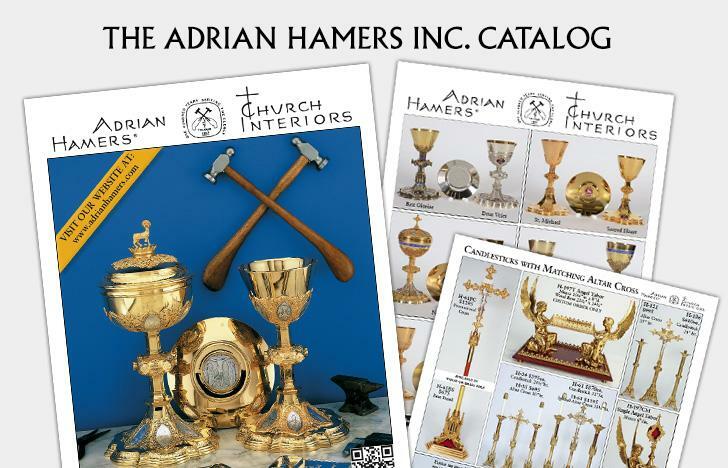 We also offer you a full line of antique church goods such as Antique Chalices, Antique Ciboria, Antique Altar Crosses, Antique Altar Candlesticks, Antique Church Bells, Antique Church Stained Glass, Antique Church Stained Glass, Antique Tiffany studios stand glass for sale, Antique Tabernacles, Antique Paschal Candle Sticks, Antique Processional Cross, Antique Pyx, Antique Reliquaries, Antique Hanging Sanctuary Lamps, Antique Wall Brackets, Antique Holy Water Buckets, Antique Aspergil, Antique Latin Mass Card Sets, Antique Missal Stands, Antique Tabors, Antique Monstrances, and Antique Altar Ware. 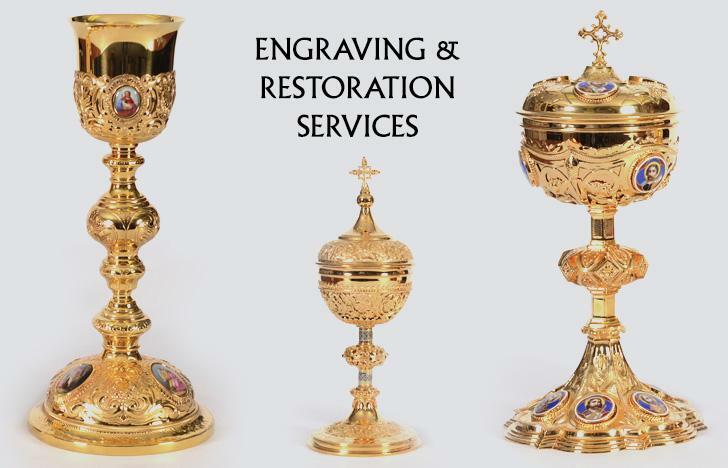 We offer complete chalice gold-plating, Chalice silver-plating and chalice refinishing.